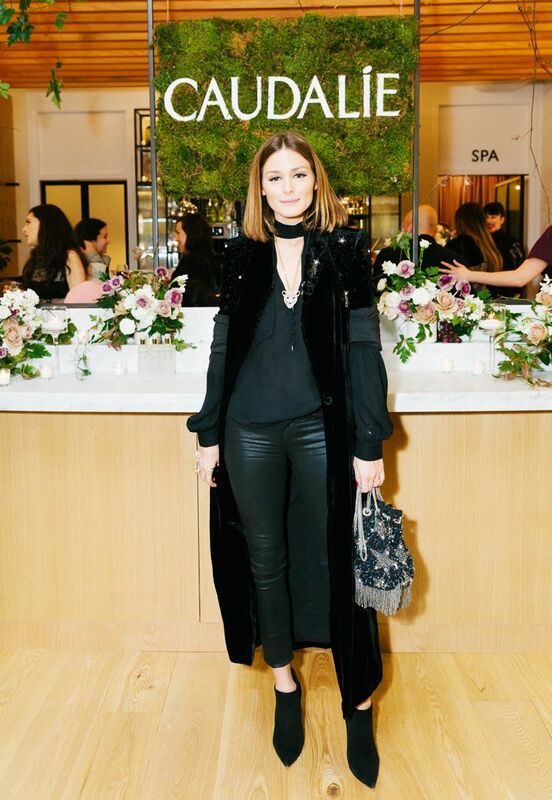 Olivia Palermo has a knack for finding amazing, expensive-looking pieces in Zara, and she's done it again with her £40 party bag. At a Caudalie event in New York, the star of Olivia's outfit (excuse the pun), was her beaded pouch bag from Zara, which has a silver star pattern, a delicate chain strap and silver fringing along the base. She made this statement pouch the focus of her outfit, keeping the rest simple by wearing black J Brand leather skinny trousers, a black blouse, a long sleeveless black coat and a pair of black boots. Keep scrolling to see and shop Olivia Palermo's £40 star bag. On Olivia Palermo: Zara Crossbody Bucket Bag (£40); Casadei Blade Ankle Boots; J Brand Skinny Leather Pants (£915).